As the latest increase on the price cap kicks in on April 1st 2019 we'll no doubt start to see prices rise accordingly. The Sun's Daniel Jones, takes a close look at all the energy auto switching sites. Flipper who were the first auto-switching service in the UK, remains the best in finding you the cheapest energy deals. Energy auto-switching service - Flipper joins the BBC's Sally Bundock and Maryam Moshiri on BBC Business Live news. MD, Mark Gutteridge talks explains how new advanced tech is changing the switching industry and helps customers overpaying for energy. Average UK householder pays £37,331 too much for bills in their lifetime. YourMoney, The Sun and The Daily Mirror all covered Flipper's Futility Bill calculator which showed that UK householders will pay an average of £37,331 too much for utilities and insurance in their lifetime. The calculator is designed to help people understand how much they unwittingly overpay to energy and insurance companies. Flipping the switch on market complaint. Up to 10 per cent of a household’s annual bill goes to the comparison sites they used to switch provider, rather than on energy. Flipper are completely independent and don't charge any supplier commissions. Flipper lodged a complaint with Ofgem demanding that customers moving supplier know exactly how much the online broker is being paid by the energy providers, and whether they are actually getting the best deal. British Gas to increase energy prices for the second time this year. British Gas parent company, Centrica, have announced another price increase affecting 3.5 million customers starting from 1st October on their standard variable tariff (SVT). It's the second increase this year (5.5% increase in April) and this means the average bill will rise by another £44, taking it to £1,205 a year. EDF have announced to in increase their pricing for the second time this year. 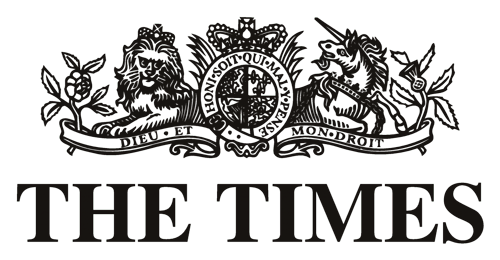 The Times, Money Made Easy have referenced Flipper in Top Tip: "Automatic switching services like Flipper help householders keep on top of energy price hikes." "New services such as Flipper have grown in popularity because they take the hassle out of comparing suppliers and moving between them. Customers who stay with the same firm for over a year typically pay £350 more than they need to." Ali Hussain, The Sunday Times. Ofgem states that automatic switching services like Flipper “make it easier for consumers to continuously get better deals without having to make the switch themselves”, and they have also “made it clear that suppliers need to work with these services”. Steve Smith, director of energy switching firm Flipper and former Ofgem board member, said a cap could push up fixed fees. "A regulated price means people will switch off and think 'the government's looking after me',"
Will the energy price cap push up prices for fixed tariffs? Steve Smith, of energy switching firm Flipper, said the move could stifle competition and discourage switching between suppliers - which is the best way to slash your bill. Wessex Water Limited has acquired Flipper - an innovative and hassle-free service for energy customers to save money on their bills. If everyone was using Flipper, energy prices would become standardised and the battle would have to move elsewhere. Customers are sick of getting a good deal in year one only to see prices rocket when renewal comes around. Surely, there's an answer to a problem that both the industry and its customers hate. The AA has launched an energy switching service, which promises savings of £150 for dual fuel customers, and £200 for roadside members, or it will pay the difference. If you value your time over the effort needed to save a few quid, these websites take the aggro out of saving and making you money…but for a fee. Switching: the future is... bot? We’re closer to that personal assistant being a bot than you might think. It is easy to envisage bots, with access to our smart energy feeds and personal data, integrating with switching services like Flipper to make them more accessible and bespoke. Switch delays cost the UK around £240 million a year! Flipper suggests that delays in switching are reducing the size of that saving. It estimates that around £240 million a year is lost to consumers as a result of switches that take weeks or even months to complete. Unlike comparison websites, Flipper does not receive a penny from suppliers, so there is no incentive for it to promote or exclude any deals. Many people are overpaying for their gas and electricity, by around £200 according to recent government estimates, often because switching to another company is seen as too much hassle. But a company called Flipper is offering a service where it will do the hard work for you, for a small fee. Are you paying too much around the house? Sarah Pennells is looking at ways to make your money go further around the house when it comes to bills, food shopping and other costs. To help Sarah show you the best way to save money, she is joined by Hilal Kanafani, co-founder of Flipper, Kevin Pratt of Moneysupermarket and Naomi Willis, of the Skint Dad website. Michael Robinson: "The thing that, for me, really separates you from all the other switching sites is that you say you won’t take commission. How can you run a business without it?" Talal Fathallah: "We charge our customers £30 a year for access to the service. We won’t charge unless we’ve identified a deal that saves at least £50 per year, so by signing up you’re effectively guaranteed £30 of benefit. That in itself is plenty to sustain us as a business. We’ve actually been offered commission by some energy companies but we turned it down, reason being that there would be a real conflict of interest for us if we were to accept commission payments." Can smart switching cut your energy bills? A new generation of energy switching services is emerging, claiming to offer better ways for millions of people to cut their gas and electricity bills. How can start-ups disrupt existing markets for the benefit of customers? Marketers are taught that the customer is king. However, companies seemingly forget this principle by putting their own needs first. How to save up to £300 on your energy bills easily with Flipper? Do you wish you could save money on your energy bills but don’t really know how or where to go about it? It is one of those household jobs that can have a huge impact on family finances but one of the jobs I shy away from. Families spend £400 too much on energy each year, and yet very few of us get round to switching deals. Londoner Stephen Brewster was one of the many Brits fed up with the long, drawn-out process of finding a better energy tariff. Then he came across Flipper, which styles itself as “your personal energy shopper”. Three hundred pounds a year feels like an awful lot of money to lose when it is to pay for a parking fine or overdue tax. But as an excess payment on energy bills, apparently millions of people are too lethargic to do anything about it. Flipper is a personal energy manager. Our members sign up in seconds without the need to give us any energy provider or usage information. We connect to their online energy account and use their actual usage data to match them to the best deal in the market. We switch them automatically and then run a check every three months to ensure they are kept on the best deal. You may like the idea of constantly switching energy supplier for a cheaper deal, but who has the time? While Onedox will alert you to the best deals, so that you can make that decision, I’ve just heard about Flipper, the “personal energy shopper”. Gas and electricity bills have risen sharply in recent years. But few householders take their business to a rival supplier often enough – if at all – despite an opportunity to save hundreds of pounds a year. A new company called Flipper says it will not only compare tariffs on your behalf, but organise the switch automatically too – up to four times a year. Traditionally there have been 20 energy tariffs per provider, now there will be 800 – making it harder for consumers to find the right energy tariff to save up to £400 per year. Flipper offers a way to disrupt the price comparison market by making energy switching simpler. With machine intelligence it automatically switches its subscribers to the best tariff. The investigation of the Competition and Markets Authority (CMA) into the energy market has once again highlighted that the market is ripe for disruption and innovation. The regulator’s draft report, which was released following its investigation on 10thMarch 2016, shows that there is a long way to go before it works properly for consumers and business customers. New auto-switch services launch: will they change the game for energy customers?